When the Rewards Can Be So Great is a selection of craft talks delivered by faculty at the Pacific University MFA in Writing program. 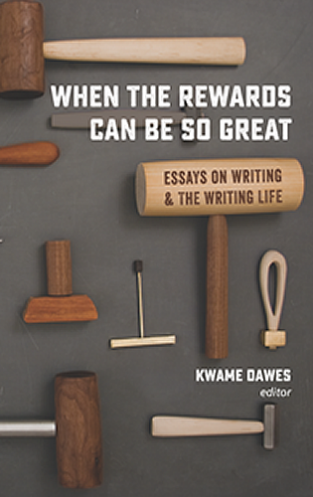 The essays in this exciting collection are at times deeply personal, providing insight into the development of the writers in their craft; and at times sharply practical and filled with long-tested approaches for writing with power and effectiveness. All are characterized by care, generosity, and good humor and reflect a wonderfully welcoming eclecticism of styles, interests, traditions, and diversity of voices. Includes essays by Carolyn Coman, John McNally, Marvin Bell, Pam Houston, Scott Korb, Benjamin Percy, Claire Davis, Sandra Alcosser, Valerie Laken, Mike Magnuson, Ellen Bass, Kwame Dawes, Steve Amick, Laura Hendrie, David Long, Mary Helen Stefaniak, Dorianne Laux, and Debra Gwartney.